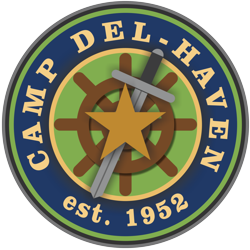 Del-Haven Ministries has produced the following videos to help you get a little more insight into what Camp Del-Haven is all about and what we’ve been doing for the past 65 years for the glory of Jesus Christ. Each video provides vivid examples of the history and ongoing Christ-centered activities of our camp, along with a wonderful presentation of the many joyful faces of our dedicated staff and happy campers over the years. Enjoy! EDITOR’S NOTE: In the course of putting together this short compilation video, we became very curious about Mrs. Carl Gray, who is briefly featured in the first promotional film produced for Del-Haven Ministries back in 1953-54. Who was she and what brought her to Camp Del-Haven to speak to our young boy campers? Our subsequent research on the internet brought a delightful surprise, and we thought we would share this background information with our readers and supporters. Mrs. Carl Gray, aka Harriette “Hattie” A. Gray, was a well-known Christian personality, teacher, and speaker throughout the 30s, 40s and 50s, until her death in 1956. She was the wife of Carl R. Gray, a noteworthy American railroad executive in the early 20th century, who died in 1939. Most notably, Harriette Gray was the first women to have a nationwide Bible class broadcast on WOW Radio in Omaha, Nebraska. She was chosen “American Mother of 1937” by the Golden Rule Foundation of New York, and that same year she was elected president of the 3,000 member Home Bible Study Association, with meetings held annually in Los Angeles, CA, and monthly in Kansas City, MO or from her Omaha, NE home. As noted in the original narration of Del-Haven’s film, Harriette was also the president of Mothers for Christ, an interdenominational women’s organization. During the course of her life, Harriette’s fame and Christian reputation (and that of her husband) allowed her many opportunities to create friendships with the likes of John D. Rockefeller, a fellow Baptist, and Franklin and Eleanor Roosevelt. Surely the boys at Del-Haven enjoyed her presence as a strong motherly figure concerned with their welfare, both temporally and spiritually. We thank God for Mrs. Gray and the many wonderful volunteers like her who took the time to show the love of Christ to our campers over the last 65 years and into the future.